Energetic Lighting’s E1WPA series LED commercial wall pack fixtures provide a quick and easy solution for warehouse and industrial applications. 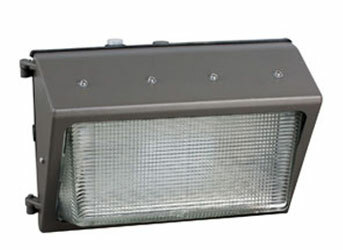 Available in 36W, 60W and 90W variants, designed to replace traditional 100W-250W equivalent HID wall pack fixtures. The standard design looks and feels just like traditional HID wall packs, but without any of the high wattage heat and maintenance. An integrated dusk-to-dawn photocell sensor automatically turns the fixture on/off relative to ambient light. Constructed out of heavy duty ADC12 die-cast aluminum with robust gaskets and seals to prevent moisture and insect ingress. Each fixture is rated for a minimum L70 of 50,000 hours with a dependable design that will operate hassle-free for many years.